Robert Joseph Flaherty, FRGS (; February 16, 1884 – July 23, 1951) was an American filmmaker who directed and produced the first commercially successful feature-length documentary film, Nanook of the North (1922). The film made his reputation and nothing in his later life fully equaled its success, although he continued the development of this new genre of docufiction, e.g. with Moana (1926), set in the South Seas, and Man of Aran (1934), filmed in Ireland's Aran Islands. He is considered the "Father" of both documentary and ethnographic film. Flaherty was married to writer Frances H. Flaherty from 1914 until his death in 1951. Frances worked on several of her husband's films, and received an Academy Award nomination for Best Original Story for Louisiana Story (1948). 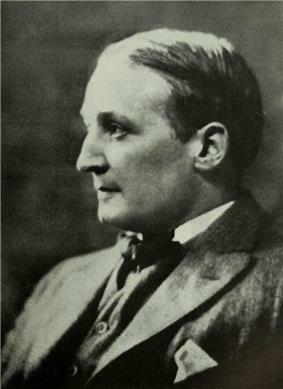 Flaherty was one of seven children born to prospector Robert Henry Flaherty (an Irish Protestant) and Susan Klockner (a German Roman Catholic); he was sent to Upper Canada College in Toronto for his education. Flaherty began his career as a prospector in the Hudson Bay region of Canada, working for a railroad company. Flaherty wrote for the Geographical Review. In 1909 he shared stories about information he was told by an Inuit man, named Wetallok. Flaherty said he met Wetalltok while visiting the Hudson Bay. Flaherty was visiting the area in search of iron ore. In his story, Flaherty published a detailed map of the Inuit region and shared information about the bay that Wetallok had told him. His writing about Wetallok would go on to be published in Flaherty's book, My Eskimo Friends: “Nanook of the North". In 1913, on his expedition to prospect the Belcher Islands, his boss, Sir William Mackenzie, suggested that he take a motion picture camera along. Flaherty brought with him a Bell and Howell hand cranked motion picture camera. 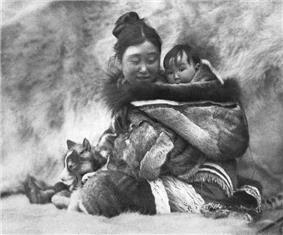 He was particularly intrigued by the life of the Inuit people, and spent so much time filming them that he had begun to neglect his real work. When Flaherty returned to Toronto with 30,000 feet of film, the nitrate film stock was ignited in a fire started from his cigarette, in his editing room. His film was destroyed and he received burns on his hands. Although his editing print was saved and shown several times, Flaherty wasn't satisfied with the results. "It was utterly inept, simply a scene of this or that, no relation, no thread of story or continuity whatever, and it must have bored the audience to distraction. Certainly it bored me." Flaherty was determined to make a new film, one following a life of a typical Inuit and his family. In 1920, Flaherty secured funds from Revillon Frères, a French fur trade company to shoot what was to become Nanook of the North. On 15 August 1920, Flaherty arrived in Port Harrison, Quebec to shoot his film. He brought with him two Akeley motion-picture cameras which the Inuit referred to as "the aggie". Flaherty also brought full developing, printing, and projection equipment to show the Inuit his film, while he was still in the process of filming. Flaherty lived in an attached cabin to the Revillon Frères trading post. Melanie McGrath, a writer, writes that, while living in Northern Quebec for the year of filming Nanook, Flaherty had an affair with his lead actress, the young Inuit woman who played Nanook's wife. A few months after he left, she gave birth to his son, Josephie (December 25, 1921 – 1984), whom he never acknowledged. Josephie was one of the Inuit who were relocated in the 1950s to very difficult living conditions in Resolute and Grise Fiord, in the extreme North (see High Arctic relocation). According to McGrath, Flaherty knew of his son's difficulties, but took no action. Corroboration of McGrath's account is not readily available and Flaherty himself never discussed the matter. Nanook began a series of films that Flaherty was to make on the same theme; humanity against the elements. Others included Moana: A Romance of the Golden Age set in Samoa and Man of Aranset in the Aran Islands of Ireland. All these films employ the same rhetorical devices; the dangers of nature and the struggle of the communities to eke out an existence. Nanook of the North (1922) was a successful film, and Flaherty was in great demand afterwards. On a contract with Paramount to produce another film on the order of Nanook, Flaherty went to Samoa to film Moana (1926). Flaherty shot Moana in Safune on the island of Savai'i where he lived with his wife and family for more than a year. The studio heads repeatedly asked for daily rushes but Flaherty had nothing to show because he had not filmed anything yet — his approach was to try to live with the community, becoming familiar with their way of life before writing a story about it to film. Flaherty was also concerned that there was no inherent conflict in the islanders' way of life, providing further incentive not to shoot anything. Eventually he decided to build the film around the ritual of a boy's entry to manhood. Flaherty was in Samoa from April 1923 until December 1924, with the film completed in December 1925 and released the following month. The film, on its release, was not as successful as Nanook of the North domestically, but it did very well in Europe, inspiring John Grierson to coin the word "documentary." Before the release of Moana, Flaherty made two short films in New York City with private backing, The Pottery Maker (1925) and The Twenty-Four Dollar Island (1927). Irving Thalberg of Metro-Goldwyn-Mayer invited Flaherty to film White Shadows in the South Seas (1928) in collaboration with W. S. Van Dyke, but their talents proved an uncomfortable fit, and Flaherty resigned from the production. Moving to Fox Film Corporation, Flaherty spent eight months working on the Native American documentary Acoma the Sky City (1929) but the production was shut down, and subsequently Flaherty's footage was lost in a studio vault fire. Flaherty then agreed to collaborate with F. W. Murnau on another South Seas picture, Tabu (1931). However, this combination proved even more volatile, and while Flaherty did contribute significantly to the story, the finished film, originally released by Paramount Pictures, is essentially Murnau's. After Tabu, Flaherty was considered finished in Hollywood, and Frances Flaherty contacted John Grierson of the Empire Marketing Board Film Unit in London, who assigned Flaherty to the documentary Industrial Britain (1931). By comparison to Grierson and his unit, Flaherty's habitual working methods involved shooting relatively large amounts of film in relation to the planned length of the eventual finished movie, and the ensuing cost overruns obliged Grierson to take Flaherty off the project, which was edited by other hands into three shorter films. Flaherty's career in Britain ended when producer Alexander Korda removed him from the production Elephant Boy (1937), re-editing it into a commercial entertainment picture. Producer Michael Balcon took Flaherty on to direct Man of Aran (1934), which portrayed the harsh traditional lifestyle of the occupants of the isolated Aran Islands off the west coast of Ireland. Man of Aran was a major critical success, and for decades was considered in some circles an even greater achievement than Nanook. As with Nanook, Man of Aran showed human beings' efforts to survive under extreme conditions: in this case, an island whose soils were so thin that the inhabitants carried seaweed up from the sea to construct fields for cultivation. As with Nanook, too, Flaherty cast locals in the various fictionalized roles, and made use of dramatic recreation of anachronistic behaviors: in this case, a sequence showing the hunting of sharks from small boats with harpoons, which the islanders had by then not practiced for several decades. He also staged the film's climactic sequence, in which three men in a small boat strive to row back to shore through perilously high, rock-infested seas. Back in the United States, Pare Lorentz of the United States Film Service hired Flaherty to film a documentary about US agriculture: a project which became The Land. Flaherty and his wife covered some 100,000 miles, shooting 25,000 feet of film, and captured a series of striking images of rural America. Among the themes raised by Flaherty's footage were the challenge of the erosion of agricultural land and the Dust Bowl (as well as the beginning of effective responses via improved soil conservation practices), mechanization and rural unemployment, and large-scale migration from the Great Plains to California. In the latter context, Flaherty highlighted competition for agricultural jobs between native-born Americans and migrants from Mexico and the Philippines. The film encountered a series of obstacles. After production had begun, Congress abolished the United States Film Service, and the project was shunted to the US Department of Agriculture (USDA). With US entry to World War 2 approaching, USDA officials (and the film's editor Helen van Dongen) attempted to reconcile Flaherty's footage with rapidly changing official messages (including a reversal of concern from pre-war rural unemployment to wartime labor shortages). Following the attack on Pearl Harbor, officials grew apprehensive that the film could project an unduly negative image of the US internationally, and although a prestige opening was held at the Museum of Modern Art in 1942, the film was never authorized for general release. Louisiana Story (1948) was a Flaherty documentary shot by himself and Richard Leacock, this one about the installation of an oil rig in a Louisiana swamp. The film stresses the oil rig's peaceful and unproblematic coexistence with the surrounding environment, and was in fact funded by Standard Oil, a petroleum company. The main character of the film is a Cajun boy. The poetry of childhood and nature, some critics would argue, is used to make the exploration of oil look beautiful. Virgil Thomson composed the music for the film. Flaherty was one of the directors of The Titan: Story of Michelangelo (1950), which won the Academy Award for Best Documentary Feature. The film was a re-edited version of the German/Swiss film originally titled Michelangelo: Life of a Titan (1938), directed by Curt Oertel. The re-edited version put a new English narration by Fredric March and musical score onto a shorter edit of the existing film. The new credits include Flaherty, Oertel, and Richard Lyford as directors and Ralph Alswang, Flaherty, and Robert Snyder as producers. The film was edited by Richard Lyford. Flaherty is considered a pioneer of documentary film. He was one of the first to combine documentary subjects with a fiction-film-like narrative and poetic treatment. Flaherty Island, one of the Belcher Islands in Hudson Bay, is named in his honor. The Flaherty Seminar is an annual international forum for independent filmmakers and film-lovers, held in rural upstate New York. The festival was founded in Flaherty's honor by his widow in 1955. Flaherty's contribution to the advent of the documentary is scrutinised in the 2010 British Universities Film & Video Council award-winning and FOCAL International award-nominated documentary 'A Boatload of Wild Irishmen", written by Professor Brian Winston of University of Lincoln, UK, and directed by Mac Dara Ó Curraidhín. The film explores the nature of 'controlled actuality' and sheds new light on thinking about Flaherty. The argument is made that the impact of Flaherty's films on the indigenous peoples portrayed changes over time, as the films become valuable records for subsequent generations of now-lost ways of life. The film's title derives from Flaherty's own statement that he had been accused, in the staged climactic sequence of Man of Aran, of "trying to drown a boatload of wild Irishmen". BAFTA presents the Robert J. Flaherty Award for best one-off documentary. ^ Random House Webster's Unabridged Dictionary: "Flaherty"
^ Throughout Melanie McGrath's The Long Exile: A Tale of Inuit Betrayal and Survival in the High Arctic. ISBN 0-00-715796-7 (London: Fourth Estate, 2006). ISBN 1-4000-4047-7 (New York: Random House, 2007). ^ Harvard Film Archive Blog: "The HFA screens Robert Flaherty’s lost film"
McGrath, Melanie, The Long Exile: A Tale of Inuit Betrayal and Survival in the High Arctic. ISBN 0-00-715796-7 (London: Fourth Estate, 2006). ISBN 1-4000-4047-7 (New York: Random House, 2007). The story of forced removal of Inuit peoples in Canada in 1953, including Flaherty's illegitimate Inuit son Josephie.